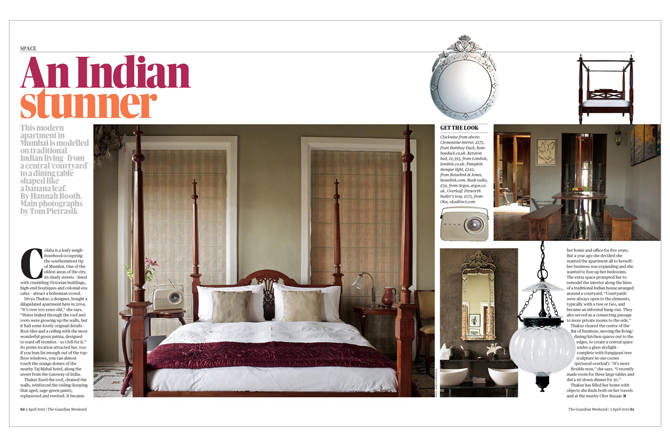 The Guardian Weekend Magazine recently commissioned me to photograph Divya Thakur’s beautiful apartment, housed in a 100 year-old colonial building in Mumbai’s Colaba neighbourhood. Thakur runs Design Temple, a graphics firm she established ten years ago. 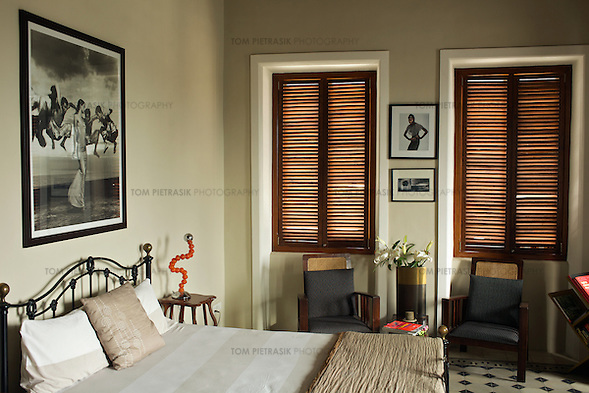 Thakur gave me free reign to photograph her home, a very pleasant task given the elegant decor and an abundance of natural light filtering in through shuttered windows. For the most part, this ambient light was enough but on occasion, for instance in the portrait of Divya above, I used a flash mounted on stand to balance out the light streaming in from outside. 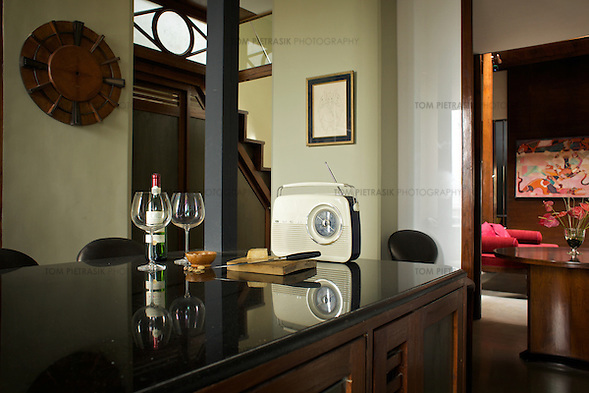 The apartment has three bedrooms on two floors and retains many original Victorian-era features. Not far away is the famous Taj Mahal Hotel and the Gateway of India with their views across the Arabian sea. You can read Hannah Booth’s words that accompanied my photographs on the Guardian website here.